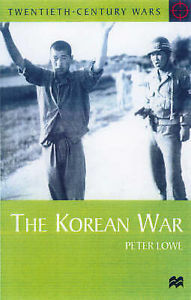 This book is mainly a political history of the Korean War rather than a Military history of the war. It deals with the political decision which brought the Governments of North Korea, South Korea, China, the United States and it allies into the war. The book is particular good at detailing the creation of the North Korean state and the sacking of General Mac Arthur. It is published by Mac Millan. THE ISBN is 0-333-77101-X.